✅ Trip Verified | Fort Lauderdale to Indianapolis. Absolute worst customer service I’ve ever seen! Not sure they even understand the meaning. I waited in a line of 100+ people for nearly an hour and a half. Then when I got up to the front I was told to get out of the line because it was exactly 2 hrs from my flight. Everything was paid for, we already had our boarding passes, literally just needed to hand them our bag and go to our gate. The attendant still told us we had to wait another hour. I’m tried to explain that we’ve been in line over a hour and a half and in that time, the line had only gotten longer and more disorganized. The attendant still told us to go to the back of the line. We booked these flights because they were a bit cheaper, but honestly if I knew what I do now, I would happily paid the extra money for an airline that has their stuff in order. This experience has been horrible - they (as a team) give absolutely zero about how they’re making their (paying) customers feel. 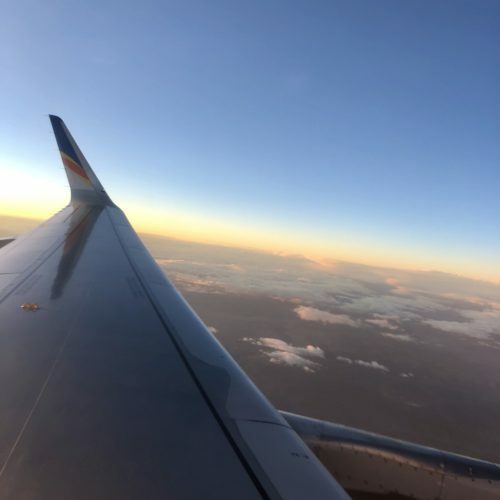 ✅ Trip Verified | My trip with Allegiant Air was the worst trip of my life. I rate this airline 1 out of 5. My flight for Wednesday was cancelled. When I talked with them at the airport they said that I had to call customer service. They cannot do anything. Customer service put me on hold for 4 hours to reschedule my flight. Worst customer service ever. When I talked with them, they say that they can put me on flight which is three days later (Saturday). So, they put me on flight for tomorrow to a different destination (Fargo, North Dakota) which is a four hour drive away from my destination (Sioux Falls). I had to make travel arrangements to my destination on my own. Further, they didn't even provide me any compensation for my accommodation and food. I had to stay in hotel in Vegas and pay for food on my own on Wednesday. I reached Fargo the next day around 8 pm. I couldn't get a flight at that time. So, I had stay in a hotel that day also. So, I reached my destination the following day. In short, I was supposed to reach to my destination on Wednesday. But thanks to Allegiant Air, I arrived home on Friday. I was on the way for three days. ✅ Trip Verified | Made reservation from Syracuse NY to St Petersburg/Clearwater International on Feb 19th, to fly out on Feb 22nd for a family emergency with a car rental. The car rental did not register correctly. Needed to call Allegiant customer service. On hold over a hour to make update. Arrived in St Petersburg/Clearwater and picked up Alamo car rental. The next day I went back to Alamo to see if I would have a problem returning the vehicle and the representative said no and that I would only be charged for the one day I had the car rental. The Alamo representative asked me for my credit card and that I would only be charged for 1 day. I kept checking my credit card and did not see a credit so I called Alamo on March 14th and was told that I needed to call Allegiant. I called Allegiant customer service and was on hold for over 1 and 1/2 hour to be told that any package deal was refundable. I told Allegiant representative I was told by the Alamo representative I would have not problem returning the vehicle and was only going to be charged for 1 day and the representative said that the Alamo representatives do not know the contract that is between Allegiant and Alamo. Do not get a car rental or a hotel together with Allegiant. I would have never returned the vehicle I the representative would have told me I would not be refunded any money. I also paid over $141 in taxes and fees to Alamo for the one day having the rental on top of paying for an entire weeks rental that I would not have returned if I had been told that I would have not been refunded the money from the unused time. I will never use Allegiant again nor will any of my family members or friends. ✅ Trip Verified | Cincinnati to Las Vegas. 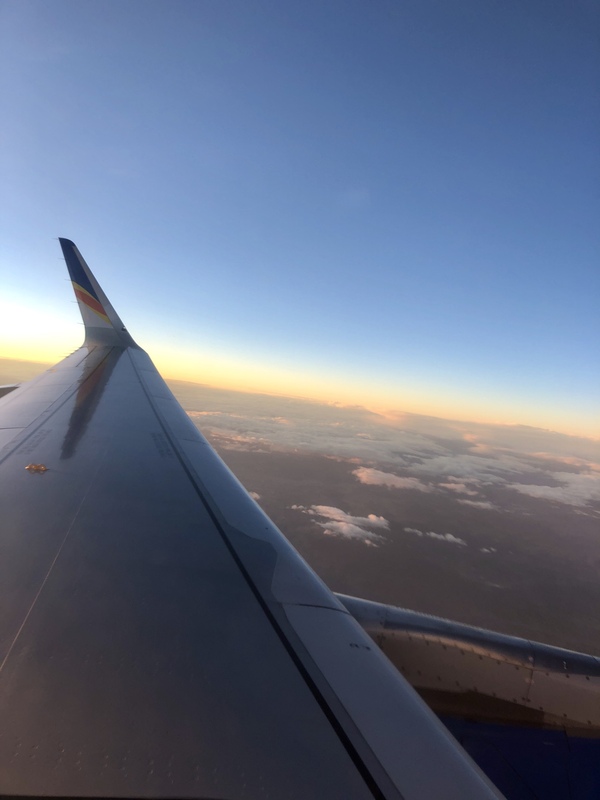 This was my second trip using Allegiant Air. Both trips were very good. 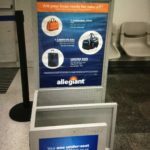 On my latest trip, all Allegiant staff that I encountered were professional and friendly. I had the same captain on both flights and he was very friendly and even walked through the cabin to introduce himself to the passengers. Both flights were in time even though we had a gate change on the return flight. 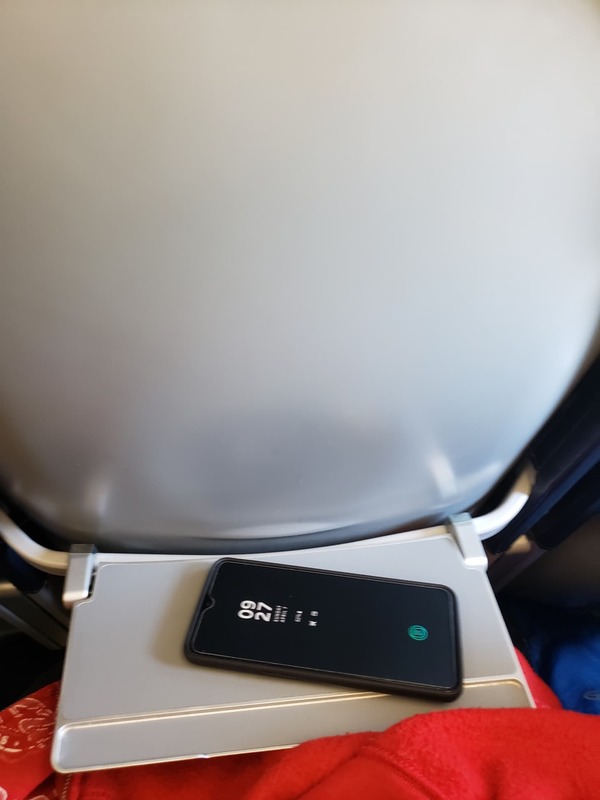 The seats were not comfortable, but for the price and experience, I will definitely use them again. ✅ Trip Verified | I flew with my 5 month old son. I checked his car seat at the gate in Niagara Falls. When I arrived in Florida, there was loose pieces of someone else’s car seat in my seat. The base of my seat was broken into 3 pieces and the large piece was never found. I have given them proof and purchase price and date. $400.00 and it was 5 months old. They are offering me $80.00. That won’t even cover half of a new base. When I landed in Florida it took 1.5 hours to even get someone to actually help me and not just pass me off to someone else. Save yourself the trouble if you have children. Not Verified | Fort Lauderdale to Asheville. I will never fly with them again. Their customer service is horrible in Fort Lauderdale. They made us wait to check our bags until an hour before the flight. You literally get what you pay for. The air conditioning broke on the plane and our flight was delayed twice. 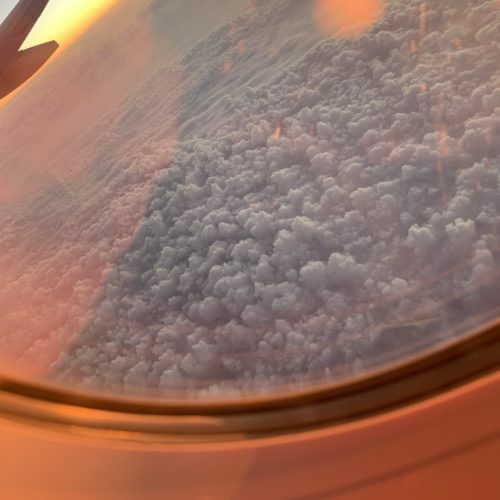 ✅ Trip Verified | It was my first time flying ever. I had no idea what to expect. I had done my own research on Allegiant and have seen a lot of bad things and not a lot of good. My experience was absolutely wonderful. Flights both ways were on time, staff were all very kind, and even though the plane was full both ways it wasn’t overwhelming. Plus the price to fly was 70 dollars both ways that’s amazing. Will definitely fly with Allegiant again in the future. Not Verified | Booked our direct flight from Indianapolis to Orlando for a short vacation. Read the reviews and thought a delay would be the worst we would encounter since there were no layovers. Day prior to flying out, I received a call that our flight has already been delayed an entire 6 hours! That took away one full day by the time we arrived. Couldn’t imagine that it would get worse but of course it did. Arrive for our return flight and all appears on track to leave at the correct time. Then the delays started rolling in. First delay was for 30 minutes. Second delay pushed it back another hour. This continues until we are 4 hours past our departure time. Still all good long as we make it back (my girlfriend had an important meeting the following evening). Then the cancellation happened. Huge problem a stranding 100+ people with no option out until the following night at 6pm (30 hours after our selected departure time)! Immediately called customer service (as the line for the onsite crew ran into the food court). Customer service was zero help aside from reimbursing us for that leg of the trip. Found out from customs service the initial reason for the cancellation was due to weather. How is that possible when I’m looking at the weather in both locations and it looks impossible to be due to weather conditions. Upon mentioning that, customer service then stated it wasn’t actually due to weather but mechanical issues (found out later that this has been a huge problem with many Allegiant planes). No help finding flights out. No help finding hotel accommodations. No help in any way. 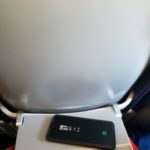 I totally understand there is a limit to the help someone can provide over the phone but it came across like I knew more about the flight statuses and options going near our return location than customer support searching through their system. 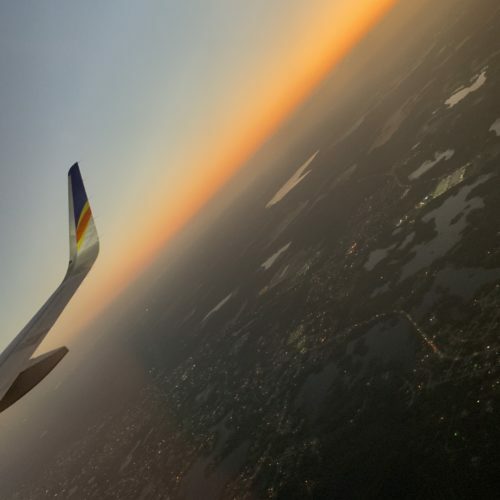 As all flights canceled one by one that were going to our home state, we resigned to the fact we’re going to need a place to stay or book another flight from Orlando. They literally expected everyone to crash in the airport or scramble to book a last minute flight for that evening or the following day. With a limited number of options to get back in time, we booked the last two seats on a flight that cost a whopping $2,200 total. Made it home 10 hours later than expected and exhausted from all the travel hassle. Lesson learned here. 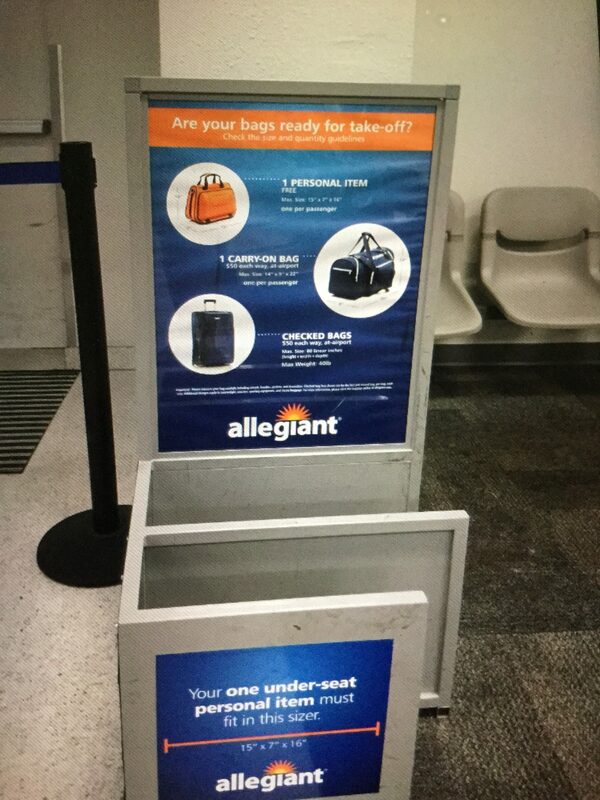 Never flying Allegiant Air again. Not Verified | The worst experience. 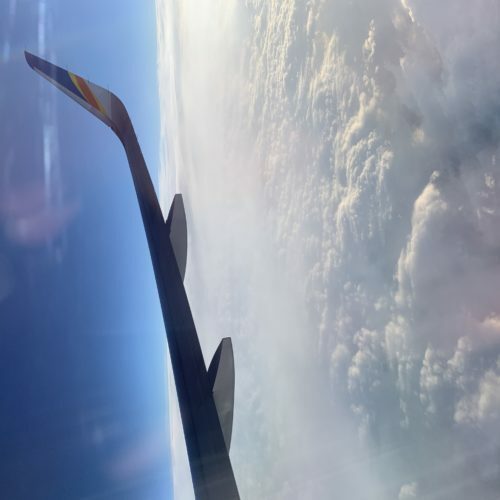 I will Never fly again with this airline from the beginning customer service was aweful there are too many hidden charges thAt are not told to you in the beginning and the staff was the worst in informing you when you asked questions. I was charged $100 for a carry on $50 each way I asked the rep first off why didn’t the lady in the front inform me of a charge when I got my boarding pass which cost me $5.00. Then to begin boarding the plane I’m informed my bag is $50 then told we are charging you a $100 what the hell. Misleading a fair that was $130 turned to $265 it’s not the money it’s the misrepresentation and then only being told it’s on the website No one books a ticket reading a websites total disgrace to the airline industry. ✅ Trip Verified | Punta Gorda to Omaha. The Allegiant staff at Punta Gorda were amazing, very polite and professional. Didn’t meet a rude person at all. The flight attendants went above and beyond! and added humor to our flight. Flights were on time and smooth. I would fly Allegiant with this group again anytime. Thanks for a job well done.